Talk of climbing stuff had been getting louder over the last few weeks and a set of floodlights was made a target. 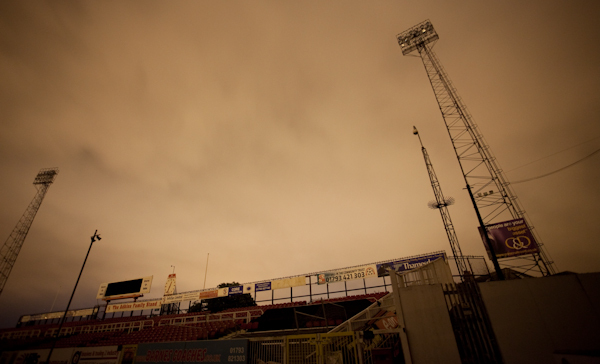 Nowhere in particular, just a classic floodlight pylon, a metal frame with a ladder and a row of shining lights at the top. The advent of modern stadia has diminished this provincial staple and I feel it’s not going to be too long before these die out, a relic from the early 20th century and the boom years of football. You don’t find these in the top stadia any more really. 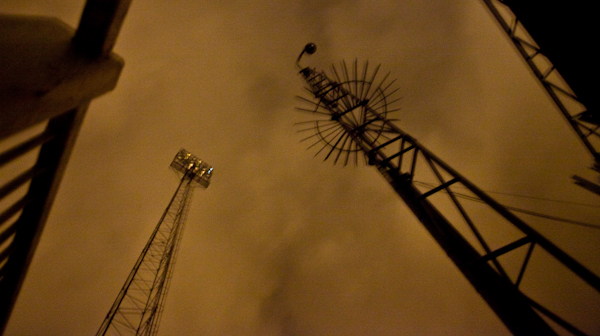 The stands of Old Trafford, Emirates and Stamford Bridge stretch higher than the tallest point of a lot of floodlights, and as such, the lights are mounted on top of these. 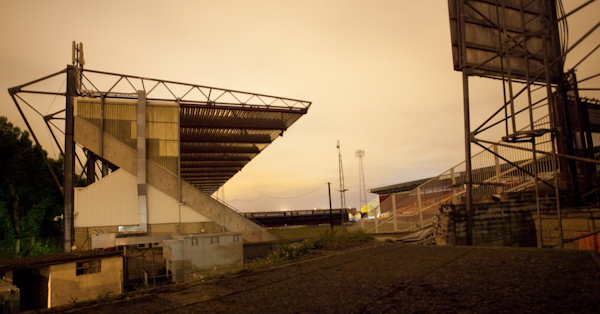 The pylons of old an icon that has largely and periodically been removed from the top tiers of football. 2001-2002 season was the last time Reading played Swindon, and I didn’t go. I think it was parents evening. We climbed down and walked on the pitch. Much of what I love about the game was absent. 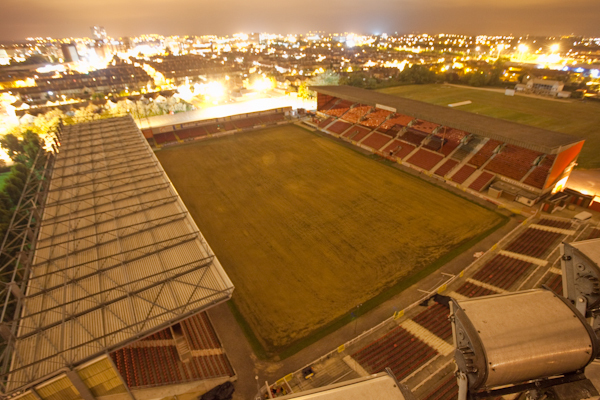 The noise, the atmosphere, the smell of onions and the bright lights from above illuminating the pitch. I can’t remember when I fell in love with football but it’s the one relationship in my life that doesn’t waver. 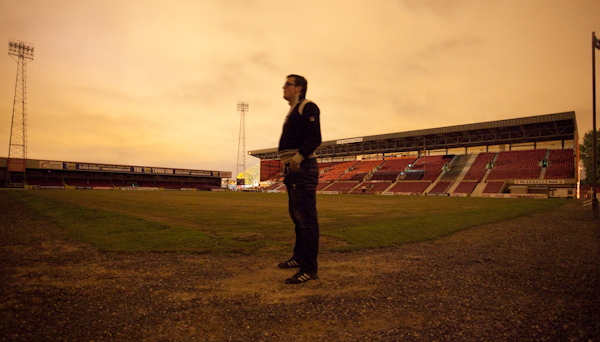 We left Swindon in the early hours of the morning. and returned down the M4. Subscribe to comments with RSS or TrackBack to 'Swindon Town'. Hope you disinfected yourself after? Grow up Tumbles I should say.